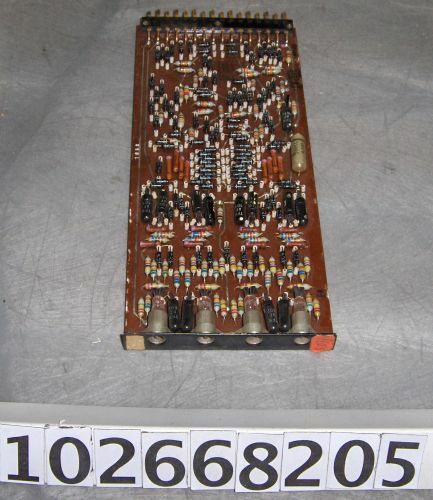 This module has several components on one side. On the circuit side there is a single resistor which has been soldered to the printed circuit. At the insertion end there are two rows of flat pins. At the extraction end there is a black metal bracket with four lights .On the brackets face there are two stickers. The red sticker says "407/1".